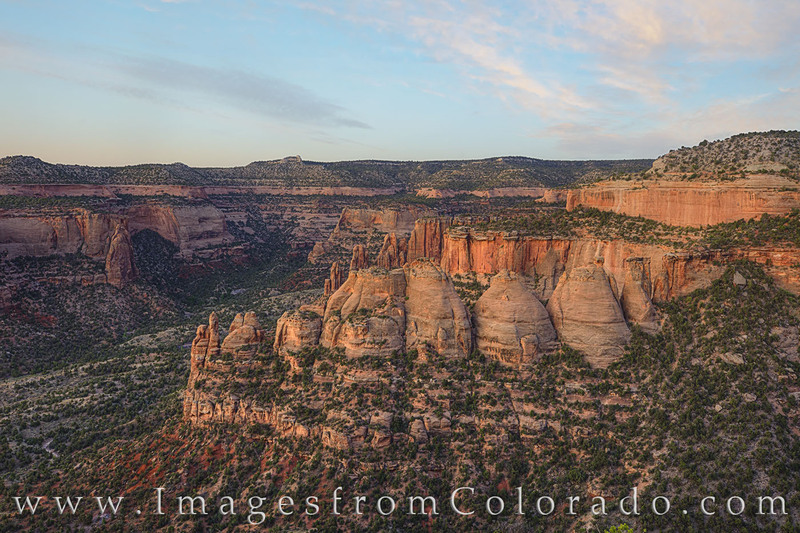 Just before sunrise, the soft pastel skies of western Colorado awaken over Colorado National Monument. This photograph shows the Coke Ovens, one of the iconic landmarks of this less-visited national park just west of Grand Junction. Rim Rock Road winds along the tops of these canyons, and the views are magnificient at every turn.